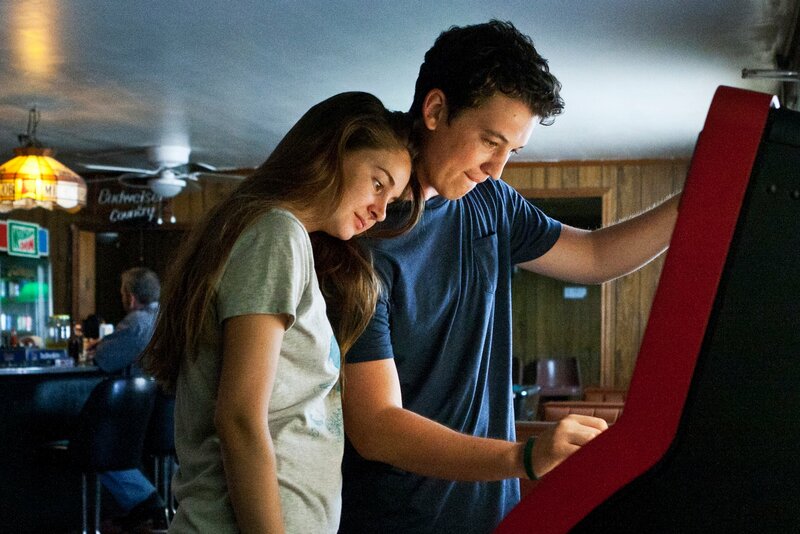 “The Spectacular Now” opens Friday at Sundance Cinemas. 1:35, PG-13, three and a half stars out of four. 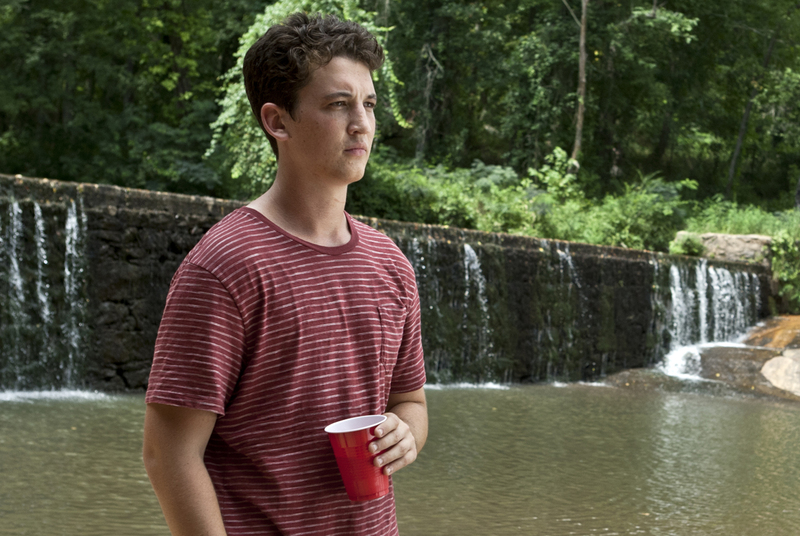 The movie is a love story between small-town seniors Sutter (Miles Teller) and Aimee (Shailene Woodley), and the first thing the film gets right is to make them complete, complex human beings before each other even enters the picture. Sutter is a good-time underachiever, strutting down the halls with a kind word for everyone and a flash in his back pocket. He’s like a Manic Pixie Dream Boy, someone who lives to enjoy life and solve other people’s problems so he doesn’t have to face his own, especially an absent dad. Aimee is the opposite — a brilliant student, naive in some ways but wiser than her peers in others, she’s going places, but it’s not clear whether she’ll enjoy herself when she gets there. Their meet-cute comes when Sutter passes out on her lawn. He’s medicating his sorrows after a bad break-up with the popular Cassidy (Brie Larson), and could use the company of a nice, non-threatening girl like Aimee. Their relationship moves slowly, cautiously, with Sutter always having one eye on Cassidy at parties, Aimee too thrilled at having his other eye to complain. Writers Scott Neustadter and Michael H. Weber wrote “(500) Days of Summer” for Madison native Marc Webb, so they know how to chart the arc of a love affair, how it will stall and then lurch forward, and how both people bring the sum of their experiences and fears with them. When Sutter and Aimee finally, fully commit, it’s like a heady rush of adrenaline has entered the movie’s bloodstream — not movie-love magic, but some kind of heightened reality. That feeling is perfectly encapsulated in a scene where, at window overlooking the football field, the pair discuss their future together, and the golden reflection in the glass looks like some kind of shimmering halo behind them. Damn. Of course, the golden glow can’t last, and the film takes a darker turn in the last half hour, and Sutter starts wrestling with his feelings of worthlessness, that he’s destined to become his deadbeat dad (Kyle Chandler), the friendliest drunk in the bar. Interesting that Ponsoldt’s last feature, “Smashed,” also featured a likable protagonist coming to terms with her boozing, although that film dealt more with the hard road of sobriety. If “(500) Days” was perhaps a bit too clever (and there’s a touch of that in the college admissions letter Sutter is writing that frames the movie), Ponsoldt scuffs it up with the messiness uncertainty of real life. Teller and Woodley have vaguely familiar faces (he was the best friend in the “Footloose” remake, she was the oldest daughter in “The Descendants”), and both bring such truth and complexity to their roles. You just care for them, instinctively even as you recognize their capacity to wound each other. The film has been compared to teen movies of the ’80s, especially “Say Anything,” and I suppose there’s something of the John Cusack-Ione Skye dynamic at work here. But I think the fact that these lovers are teenagers is a bit of a distraction. This is a relationship every bit as exhilarating and thorny as any adult relationship we’ll see on a movie screen, and the movie deals with it earnestly and respectfully. That’s not nostalgia for an earlier era of filmmaking — that’s just great contemporary filmmaking, spectacular and now.